J&J Medical, Inc. is a Durable Medical Equipment (DME) provider specializing in orthopedic bracing, pain and rehabilitation products. We provide best in class products and services to orthopedic surgery, neurosurgery, pain management, physical medicine and rehabilitation physicians and their patients throughout the eastern United States. We provide a complete selection of bracing products for the back, knees and extremities, neuromuscular electrical stimulation (NMES), bone growth stimulators, lymphedema pumps and Continuous Passive Motion (CPM) machines. J&J Medical provides physician offices with experienced and certified orthotic fitters, either on a full-time or part-time basis, who fit patients in “real time” during their regular office visit. We focus on DME and patient care and relieve our referring physicians of the responsibility of fitting and bracing patients. We follow-up with our patients and keep our referring physicians informed of compliance and progress. J&J Medical is a preferred provider for over 300 health insurance plans. J&J Medical has hundreds of styles of knee braces for post-op recovery, range of motion control, osteoarthritis and many other orthopedic conditions. Our expert and licensed certified orthopedic fitters are highly trained in taking measurements, helping physicians select the ideal products, ensuring proper fit and training patients on usage. Knee braces help patients reduce instability and reduce pain. Back braces are prescribed by physicians to provide lumbar support and assist with healing from surgery or injury, or to alleviate pain. Lumbar braces can support weakened paraspinal muscles, limit motion and offload pressure on injured and weakened musculoskeletal areas of the back. 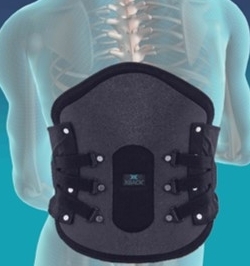 Many patients report that use of a back brace greatly improves their quality of life. J&J Medical provides a wide range of DME products including cervical traction units, pneumatic compression devices and pumps for lymphedema, tens and muscle stimulation products, bone growth simulators, walking boots and Continuous Passive Motion (CPM) machines which are frequently used after a total joint replacement. Contact us to see if we provide the items you need.